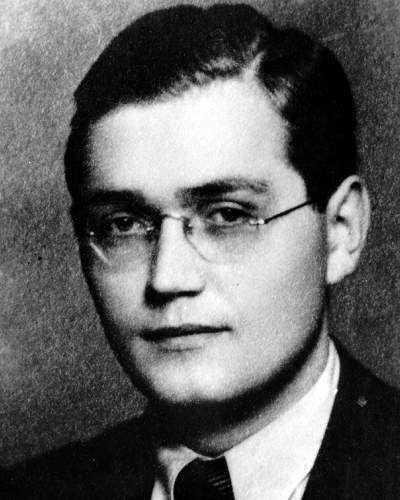 The law scholar Hans John began working at Berlin University in 1939 as an assistant at the Institute for Aviation Law. He was drafted to the Army in June 1940 and seriously wounded on the eastern front in March 1942. As a result he was discharged and was able to continue his academic work. He and his brother Otto, who worked for Lufthansa in Madrid, were deeply involved in the preparations for the coup attempt of July 20, 1944. The brothers were in contact with resistance circles in the Office for Foreign Affairs/Counterintelligence in the Armed Forces High Command. After Hans Oster and Hans von Dohnanyi were arrested in the spring of 1943, the brothers helped the escaped captain Ludwig Gehre to find illegal accommodation. Hans John was arrested in August 1944, severely maltreated and sentenced to death by the People’s Court in February 1945. On the night of April 22-23, 1945 he was shot dead by a special detachment from the Reich Security Main Office on grounds near Lehrter Straße Prison in Berlin. Otto John managed to escape from Germany on July 24, 1944.